It might seem hard to believe, but F1 teams based in Britain are being given taxpayers cash merely for doing what they do, building racing cars. According to the Daily Telegraph, since 2012, six of the UK-based F1 teams have received £112.2m ($145m) from H.M. Revenue & Customs (HMRC) courtesy of the Research and Development Expenditure Credit (RDEC). The RDEC means that HMRC refunds 12% of a company's spending on research and development, either in terms of reducing its tax bill - assuming it makes a profit - or a cash payment if there is no tax to pay. With F1 teams' success measured by their results on track as opposed to profit, they usually have low tax bills as they spend almost all their money in a bid to boost performance. The RDEC was first introduced in 2000 for small and medium-sized enterprises (SMEs), companies with a limited income and turnover. However, this was extended to larger companies in 2002, the criterion being that they have less than 500 staff. 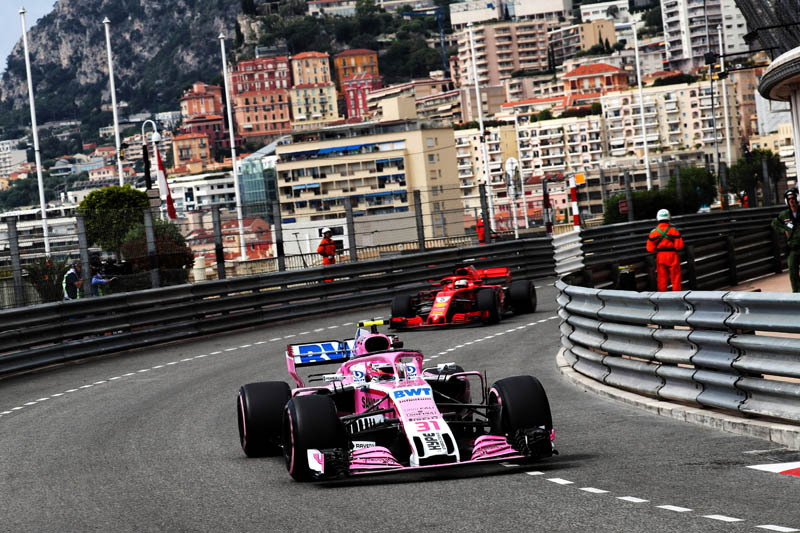 Leading the way, since 2012, is Force India (as was), which has received £51.6m, ahead of McLaren (£28.3), Mercedes (£12.2m), Manor (£11.9m), Renault (£4.5m) and Williams (£3.7m). "It is outrageous that these teams and this industry, owned by billionaires and multinational companies, are receiving these generous handouts from the public purse," said Labour MP, Margaret Hodge, who heads a cross-party group focusing on responsible taxation. "The Chancellor will soon present his next Budget and he should use the opportunity to reform RDEC so that it can't be used as another scheme for already successful and wealthy business people," she adds. Of course, the teams are doing nothing wrong or improper, they are merely taking advantage of a situation that has been handed to them on a plate by the taxman. 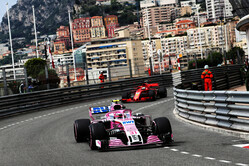 "Year on year Force India has spent a greater proportion of its entire budget on R&D, which was illustrated by its on track performance," said a spokesman for Force India. "This explains the fact that the team received the largest R&D tax credit." "Last year we discovered that Formula 1 paid a meagre £5.2 million in corporation tax on a massive £372.3 million profit in 2015," says Hodge. "Now we find out that F1 teams are receiving more than £100 million in public money." While a spokesperson for HMRC insists that it "does not comment on identifiable individuals or businesses", the fact that taxpayers money is being given to race teams to do what they do - build racing cars - is absurd, for it's not as if the teams' R&D is being used for the benefit of general society. Indeed, at a time the sport's powers-that-be, and some teams, are calling for a budget cap, the knowledge that 12% of your R&D budget will be paid back in cash encourages teams to spend more. Furthermore, at a time race fans in the UK face the real prospect of losing the British Grand Prix after next year's event, it seems wholly wrong that while the government will not step in and help save the event - for fear of the public outcry - it will willingly hand over £112.2 in taxpayers cash to teams based in the UK, but that race under foreign licences, merely to do what they do. Is F1 gambling with its integrity? "R/D tax brake is good for all companies,not just F1 .So before people (and MPs) get in a twist think of the total investment in UK and the benefits that come with it .Far better than the MPs expenses of daylight robbery of the public purse." "Corporate Welfare is nothing new and the more complicated a tax system the more chances there is for people and organisations to take advantage. As the MP says, the organisations are doing nothing wrong and indeed, they are doing R & D as per the rules, otherwise they would not be getting the money. I suspect the MP actually has an envy complex (going by the language used) as many of her ideology do and if the sport wasn't F1 but say linked to climate change, she'd be dolling out more grants and tax relief. I hate corporate welfare by the way. The state should not be in the business of picking winners and there is always a higher priority such as the NHS or a road somewhere that needs fixed." "Ms Hodger could be a little bit hypocritical - she has been alleged to benefit from curious tax arrangements as well. The words to google are Hodge and Stemcor. " "I would be interested in what the MPs' have been handed in the same period? As with F1, the R&D includes salaries of the workers so include the salaries of the MPs' staff in those numbers. I am prepared to believe it could be an outrageous sum!" "So it is the same as on-track. Force India at the front and Williams trailing the field. Me thinks that Williams needs some new accounting talent. For anyone in government to feign amazement at this sort of thing, suggests a bunch of things, and none of them complimentary. Programs such as this, regardless of how used or misused, are widespread and probably in every modern Western country (including the EU). The rules were written for a purpose, to spur on research. They were reviewed and put into law by elected politicians and then the games began. Like on track, if there is an opening, someone is going to drive right through it." "The dullest pencil in a desk drawer is always the government employee."